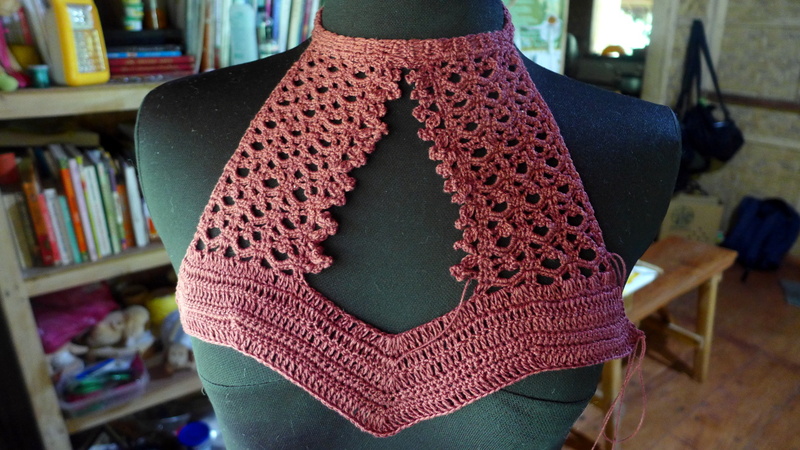 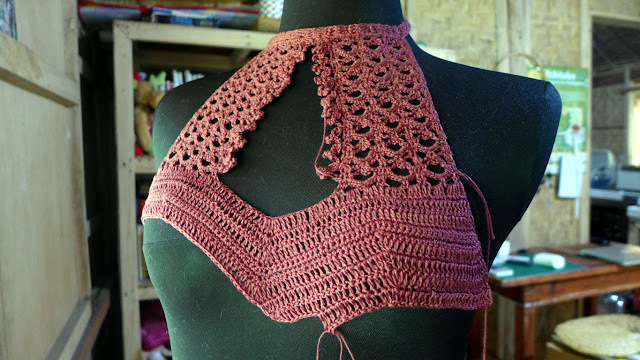 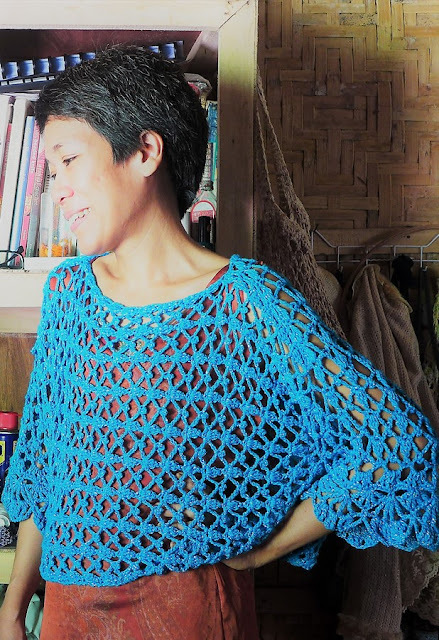 I know there are crocheters who can figure out a pattern by just looking at a photo of the finished item. These photos are probably for those crocheters since i don't have the time to write the pattern now. 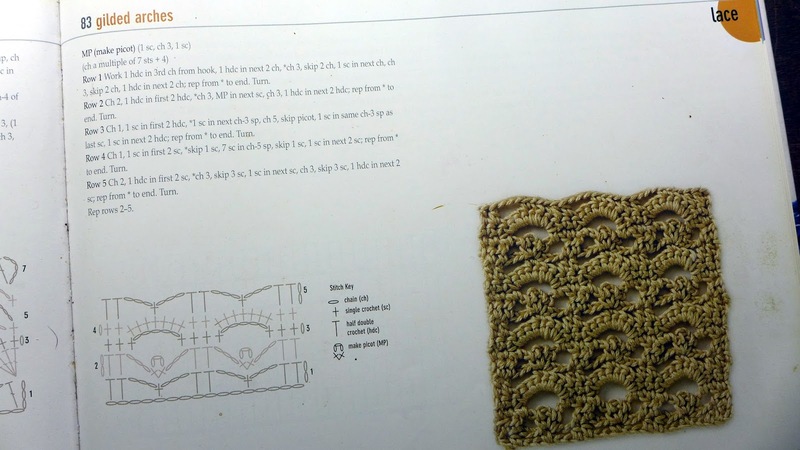 Do you think these types of 'instructions' are useful for crocheters who don't use written patterns or charts? 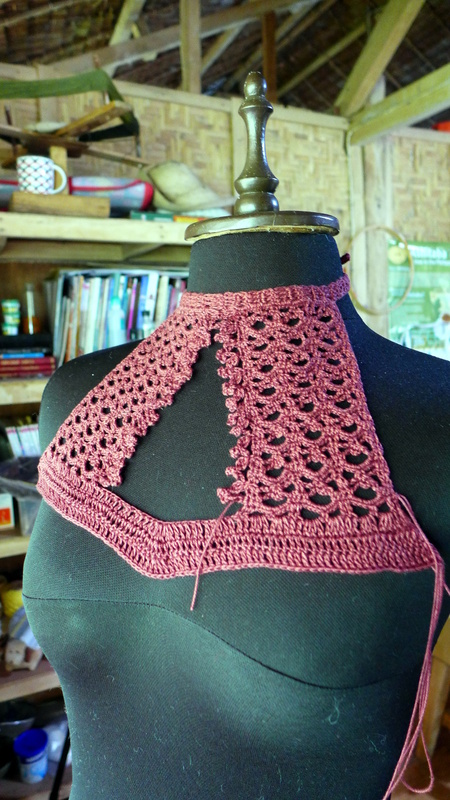 The lace pattern used for the front lace panel is below. It's from VOGUE KNITTING STITCHIONARY 4 which I got for 1,258.00PHP or US$25.00 at Fully Booked. Here are some picture showing work-in-progress for your reference. 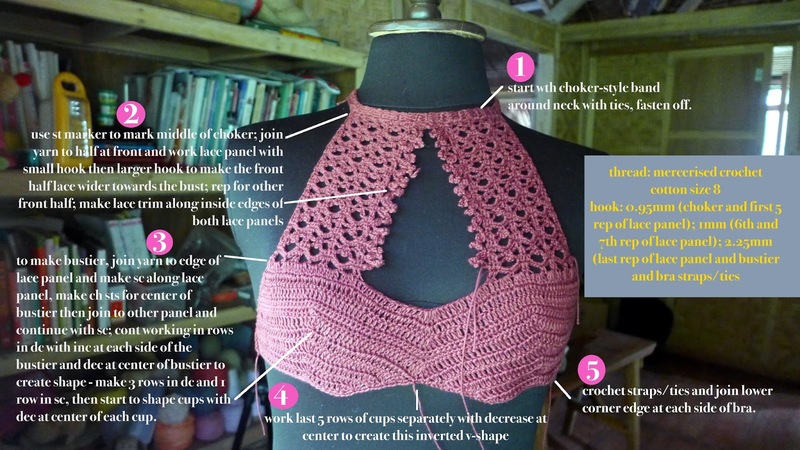 Here is the original inspiration for the crochet bra.